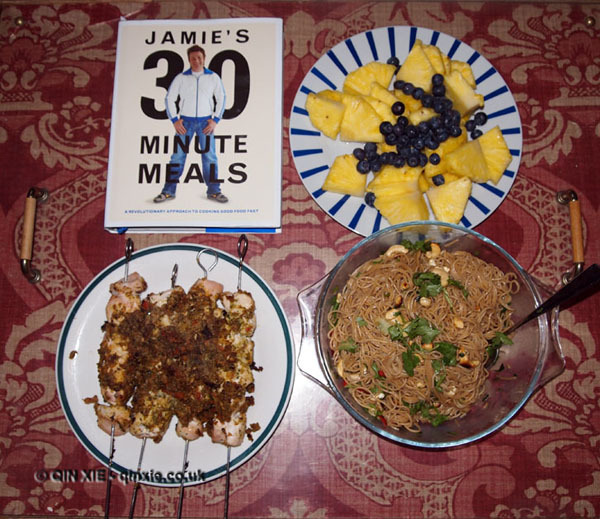 As the book that accompanies Jamie Oliver’s Channel Four series of the same title, Jamie’s 30 minute meals has received a lot of publicity. Lots of people have tried cooking along with the show and failed. I too have watched in awe as Oliver apparently peeled and chopped an entire tray of fruit in about two minutes, gawping at the impossibility of the task at hand. And yet here I am testing out the paper version. When Willie Harcourt-Cooze first burst on to our TV screens in 2008, immersed in a bath of chocolate, it was the stuff of children’s books. He was in a documentary about making the best chocolates in the world from bean to bar. Harcourt-Cooze’s first book, Willie’s Chocolate Factory Cookbook, came out not too long ago in April 2010. Now we have a second cookbook from the chocolate fanatic, Willie’s Chocolate Bible. The first thing you should know about Adam Byatt’s ‘How to eat in’ is that the recipes are not as hard as they look. The basis of this rather hefty book are recipes to elevate simple home cooked meals to family favourites and recipes to serve as dinner party pièce de résistance. By simply flicking through the book and looking at the photographs though, it’s difficult not to imagine the amount of work it would take to recreate some of the dishes. The introduction for beetroot-cured salmon gravadlax even states that it’s a four-day process – not a job to be taken on unless you are a seriously keen cook. As this is his first cookbook, chef and patron of Trinity in Clapham Adam Byatt has done very well. The dishes are not only beautifully presented but some are also highly unusual like the maple-glazed belly of pork with saffron and cockles. This makes a refreshing change to the cookbooks full of staples.He has divided up his book like a menu. There are the breads, the starters, the mains, the desserts and the sauces to complement. And given the selection of recipes and a special section on outdoor food, this book is something which can be used all year round. Having previously dined at Trinity, I instinctively looked for the food served there. The recipes revealed all the hard work that went into those delicious meals and gave me a real appreciation of the flavours. They were also a little daunting because having already spotted the salmon gravadlax recipe, I thought that all the recipes were going to be quite complex and time consuming.